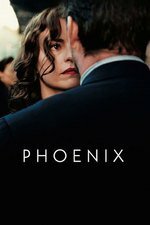 A concentration-camp survivor (Nina Hoss) undergoes facial reconstruction surgery, then searches ravaged postwar Berlin for her husband. Nelly (Hoss), a well-known chanteuse before World War II, emerges from Auschwitz with severe facial wounds due to a shooting. Her long-time friend and admirer Lene (Nina Kunzendorf) provides for the frail Nelly and guides her to a plastic surgeon, who offers Nelly a brand new face. Nelly wants none of it: she wants her "real" face back, as well as her prewar life, including her missing German husband, Johnny. Lene, who obsessively searches camp death records to find out the fate of her friends and their families, advises Nelly of Nelly's substantial upcoming inheritance (sadly due to the murder of Nelly's family). Nelly begins to question Lene about the missing Johnny: Lene says that she wants nothing to do with Johnny. Nelly undergoes facial reconstruction surgery and as soon as she can talk, sets out in search of Johnny (Ronald Zehrfeld), who was her accompanist before the war. She finds him, but the reunion is not quite what she expected or wanted. I've seen it twice this week, and can't stop thinking about it. This movie gave me so much to think about. Truly excellent. Loved this movie. So amazing to look at, you can just pause anywhere and you've got a perfectly composed shot.